WHEN SLEEZE IS LOBBYING FOR SLEEZY-SLEEZY MAY BE IN TROUBLE? In a recent article published by an American News Magazine, Mother Jones, it was reported that "Senate Democrats have asked the Justice Department to investigate whether Rudy Giuliani is violating the Foreign Agents Registration Act by lobbying for foreign interests without registering with the agency." It was revealed that Giuliani’s Security & Safety firm has been doing work for governments in Serbia, Ukraine, Chile, Dominica, Uruguay, the Dominican Republic, and El Salvador. 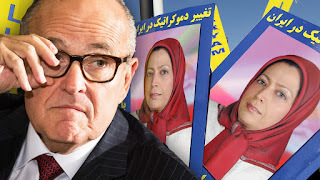 In a recent interview with the Washington Post Rudy Giuliani admitted to working with these foreign governments although he did not list the governments. With a struggling economy, a high level of indigence, unemployment and a dilapidated infrastructure every Dominican should be asking the Prime Minister Roosevelt Skerrit to justify the expenses for the use of Rudy Giuliani’s lobbying.The people of Dominica should ask -who is paying Giuliani, how much is Giuliani being paid? 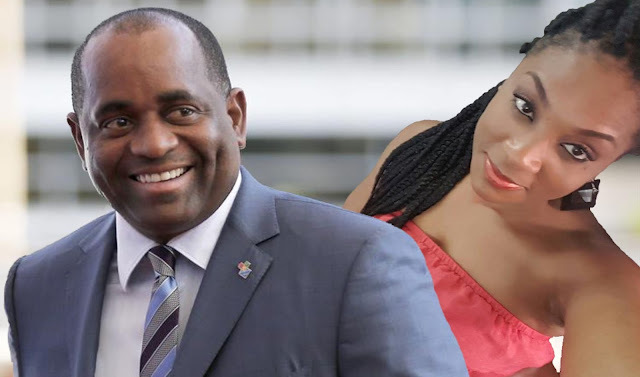 We would also like to clarify whether Giuliani is working on the behalf of Dominica or just Roosevelt Skerrit’s personal affairs. We note with due curiosity that not one other island in the region was listed under the US senators inquiry. We expect the DLP apologists to suggest that Giuliani Security and Safety (GSS) may be providing investigative due diligence services for Dominica’s passport trade but be mindful that the US senators specifically stated that Rudy Guiliani is providing lobbying services for the government of Dominica. We can also say that we are happy that the Dominican Republic was also listed and so the Skerrit apologist and Senior Counsel Wee Wee Pequinio (Tony) are not able to use the excuse that the Senators or the reporters may have confused the name Dominica with the Dominican Republic. Let’s hear what the shameless defenders have to say now that Dominica is named side by side with the Dominican Republic. We reached out to a high level DLP operative with full access to the government operation and according to this individual “not even the ministers of government know what is going on with Giuliani” At this juncture MiTC does not have any conclusive explanation for the alleged suspicious relationship between the “government of Dominica” and Rudy Giuliani but as we try to make sense of this revelation the names Reza Zarrab, Alireza Monfared and the name Iran and Turkey all seem to be coming to the forefront. A criminal complaint had been filed in the US court accusing the Turkish gold trader, Reza Zarrab of helping entities that worked with the Iranian Revolutionary Guard in an effort to evade US sanctions. It was also stated that Zarrab was using several companies to trade gold for oil and gas to evade sanctions on behalf of Iran. What we also know about Reza Zarrab is that he was part of the group that involved Dominica’s shady Diplomat Alireza Monfared. Alireza Monfared was suspected of paying handsomely for his Dominica Diplomatic passport and was given a safe haven in Dominica as he evaded Interpol. We also saw copies of documents showing that Alireza Monfared was being used as an ATM machine for the DLP operatives to include Citizen By Investment officials and government ministers . In fact there is documented evidence of money transfers from Monfared to DLP operatives much of that money was allegedly used for DLP election campaign. 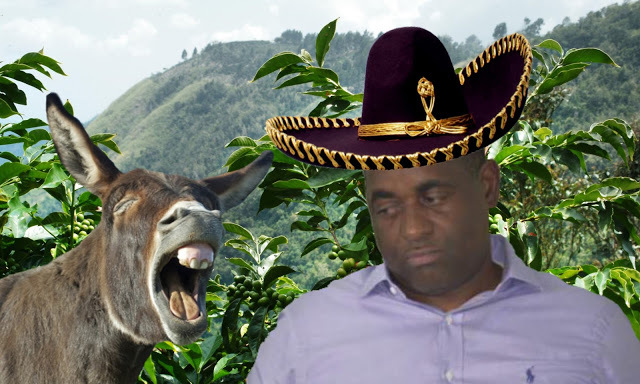 Mr. Skerrit what really was the purpose of your trip to Turkey? Was Rudy hired to clean up the entire mess for all those involved in that particular sanction busting operation? Just asking . We are working getting some definite information unless PM Skerrit wants to come clean and tell the people of Dominica why the poor and struggling people of Dominica have been paying Rudy Giuliani and how much. Skerrit is like the devil; he's all over the place.